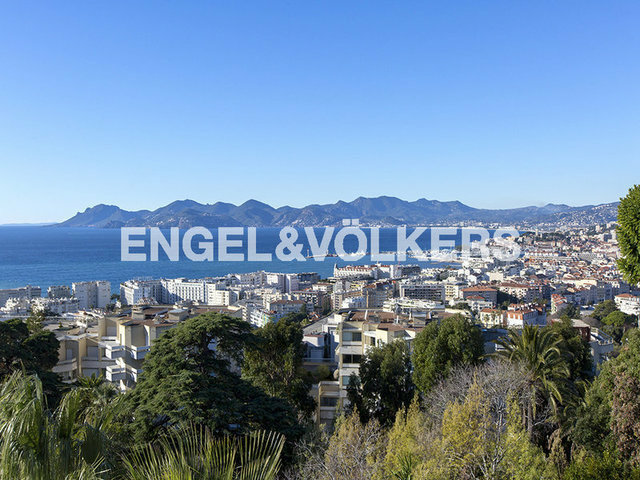 In the very heart of La Californie, in a hidden dead-end surrounded by sumptuous and famous properties, in a high end residence highly secured, this apartment-villa of approx. 440 sqm² with terraces, gardens and private pool offers stunning views to the sea, Lerin Islands, Cannes bay and Esterel mountains. It's one of the most beautiful views in Cannes. This duplex apartment, directly accessible by a lift, features a huge living-dining room, a fully equipped kitchen with its scullery also fully equipped, a large wine cellar, six bedrooms and six en suite bathrooms and dressings, a guest WC, a laundry room, and a gym/playroom. Moreover, each room is extended by marvelous terraces and private gardens for approx. 712 sqm. The apartment also enjoys its own private pool. Six large underground parking spaces and a storage room are also part of this offer. The apartment-villa is absolutely unique for sale! More details on request.